Was gifted an MPC mini play and am interested in diving into to the world of digital music creation. I have spent many years in the analog world and understand DAWs on those terms. I'm Having issues getting started with the software. Things like linking my mini to the software. I can get the keys to react but the pads are scattered about in a way that makes no logical sense, seemingly useless and random. I also can't seem to figure out how to get any of the sounds out of the device into the software. I have recorded with it but only as a live instrument into more traditional DAWs. Ideally I would like a class or something to just set me in the right direction. I have technical skills and am usually unfazed by technologies but this whole scenario has made me feel a bit like a Luddite. Was gifted an MPC mini play and am interested in diving into to the world of digital music creation. ..but the pads are scattered about in a way that makes no logical sense, seemingly useless and random. MPC's (hardware, I don't have the software) use general midi drum mapping and are not chronological in note order like a piano. I'm guessing this might be what your talking about. I also can't seem to figure out how to get any of the sounds out of the device into the software. I have recorded with it but only as a live instrument into more traditional DAWs. So you already know it's a midi controller keyboard with no internal sounds. The "play" does have a good amount of built in sounds as well as functionality out of the box that I can't seem to control once attached through the usb. Perhaps it is a matter of being from a different world in terms of recording. That being said would you have any advice on where to begin to learn the languages and skills needed for these types of interfaces? Maybe I need to go back to a beginning and build up. 14. Internal Sounds: Press this button and the Favorites button, then tap one of the eight pads to store your Favorite to that location. Press this button to enable/disable the internal sounds when a key or pad is pressed. 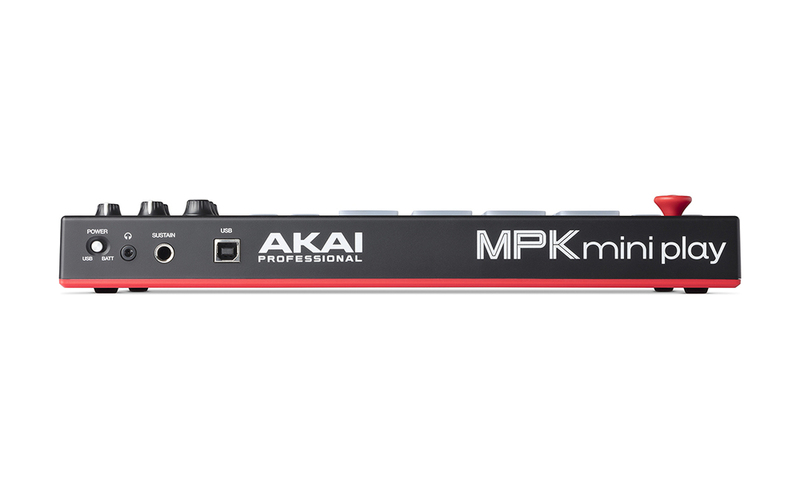 When disabled, your MPK Mini Play will send and receive MIDI only using the USB port. You were right, I was wrong. I'm still reading. 2. Headphone Output: Connect headphones here to listen to the internal sounds triggered with the keys and pads. You can also connect MPK Mini Play to speakers using an 1/8” adapter. Note: Connecting this output will disable the internal speaker. 4. USB Port: The USB port delivers power to the keyboard and transmits MIDI data when connected to a computer to trigger a software synth or MIDI sequencer. Seems like USB port if for MIDI only. No sound. Maybe you'd need to connect the headphone jack to an audio interface/sound card line in to computer. So my conclusion is, usb port only used for midi, not audio. For audio connect the headphone jack to your audio interface/soundcard and soundcard will route to computer daw tracks.